A look to the past as we head toward the future. 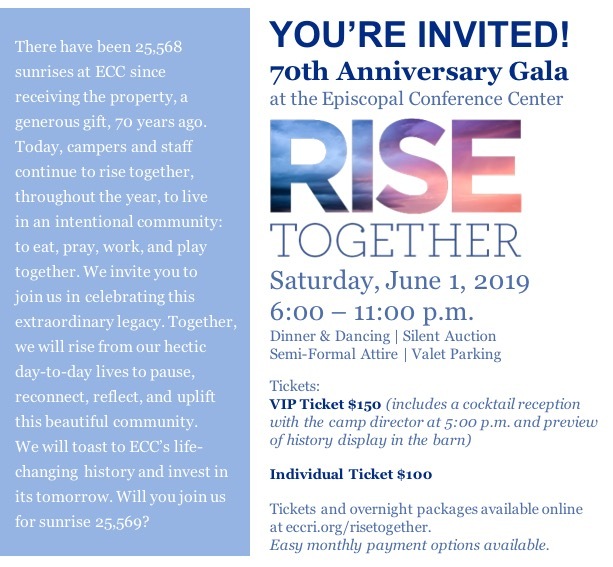 As we lead up to our 70th Anniversary Celebration for ECC, we'll be sending occasional emails to help reminisce about our years or ministry, and to update you on the plans for the event. Civil rights continued to be top of mind in the United States in the 1970s, with women and people of color continuing to advocate for equal treatment in modern society. Alongside the continuing civil rights movement, some of the country’s most memorable moments transpired throughout the decade, from the end of the Vietnam War to the resignation of Richard Nixon to the bicentennial (along with the invention of email and the floppy disk!). Meanwhile in Pascoag, ECC cemented itself as a place of worship, friendship, and fun with summer camp programs packed to the brim. 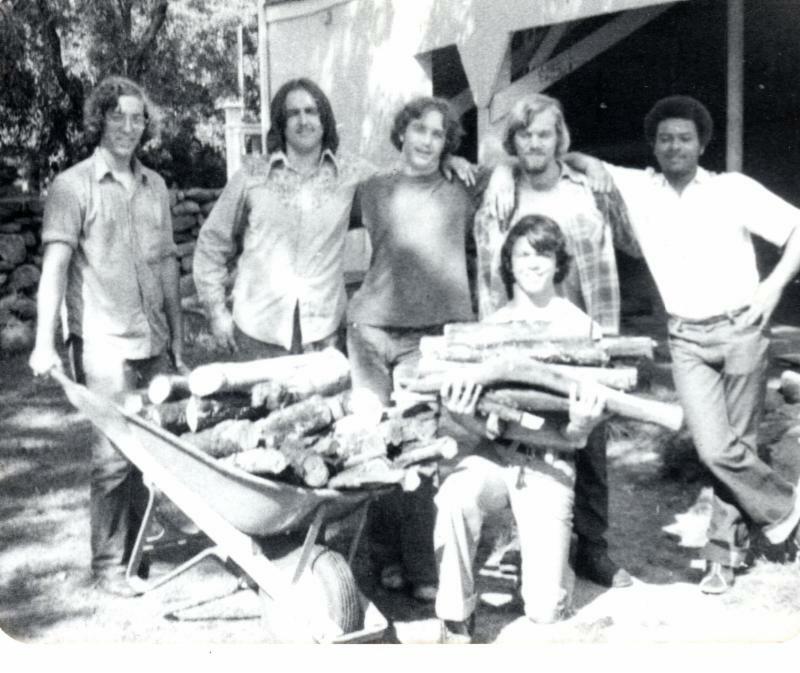 The mission of the Conference Center continued to inspire all who were part of it, as campers and staff worked to maintain and improve the property. Roads and paths initially built in the 1950s and 60s were improved and expanded, while the property received official certification as a tree farm. ECC also had a larger presence around Rhode Island. Jazz Masses took place at Episcopal Churches four times a year around the state, sometimes drawing crowds of well over 500 people! Many ECC alumni remember the Jazz Mass with tremendous fondness, and for good reason! Beyond improvements to the property and program, ECC served as a place to discuss the cultural and political conversations of the time, including the ongoing civil rights movement. ECC counselors (including future director Susan Fisher!) 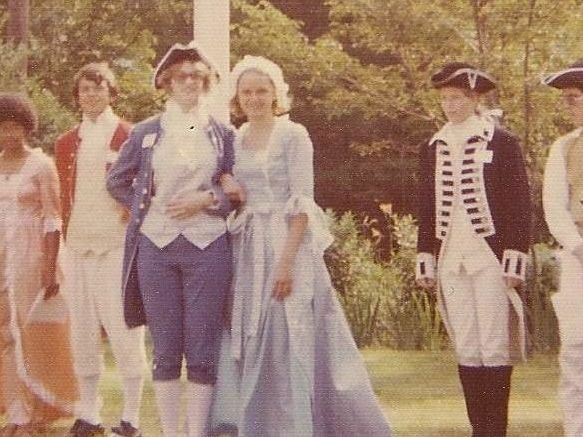 help celebrate our country's independence in period attire. 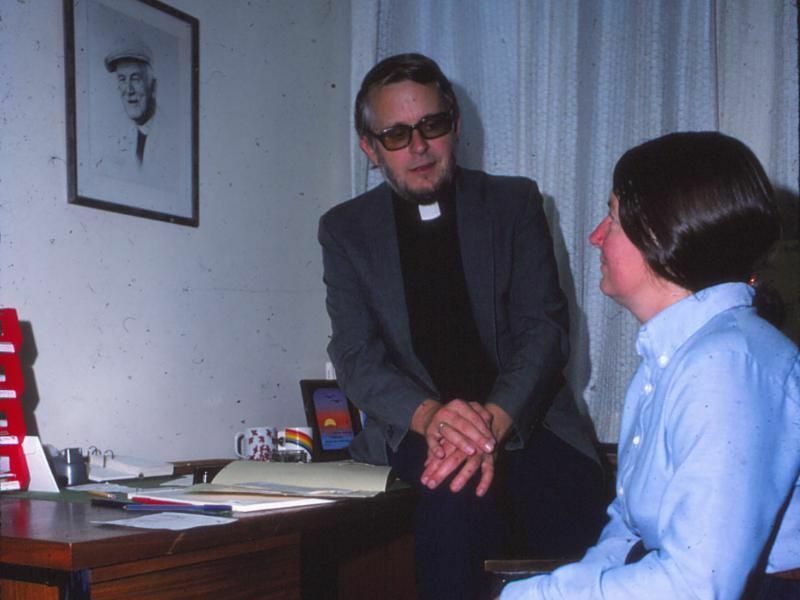 Canon Parshley looks over Caryl Frink and Father John Hall, already an integrate part of camp leadership long before they took over as directors. 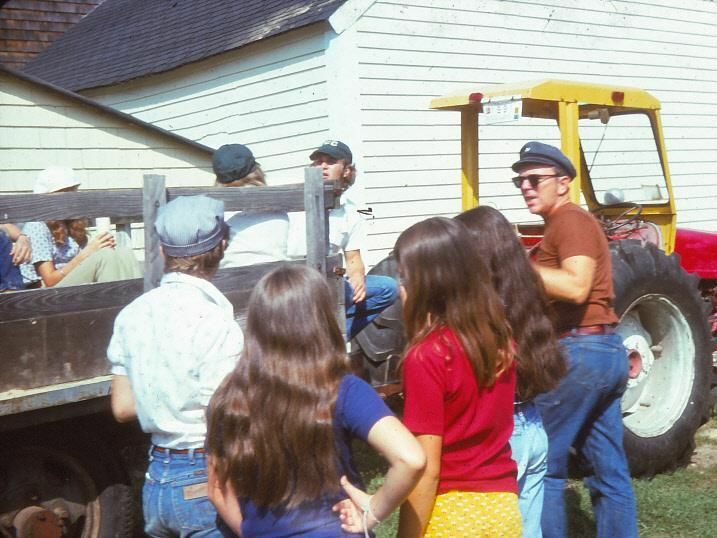 Father David Ryan leads a group of campers in a work project with the camp tractor. We already sold 1/3 of the event tickets available and expect to sell out! Tickets may be purchased through the paper RSVP, or through our camp registration site. Links provided below. Reserve your ticket today to secure your spot! Many thanks to our sponsors who help make this event and the life-changing ministry of ECC possible. This is the list of sponsors as of January 31. Learn more about sponsoring this event here. Contact the folks below to learn more about this event or to secure your spot at a table at the Gala! No table captain? No problem! We'll ensure you are seated at a table with wonderful ECC friends. 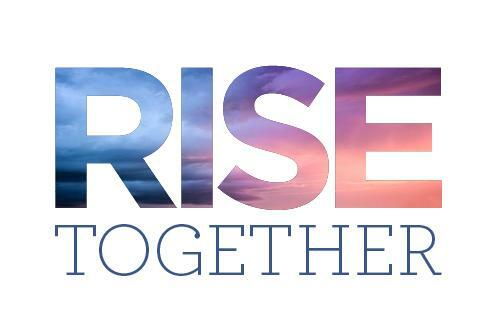 Email us at risetogethergala@gmail.com to confirm your interest in any of these options! Commit to a gift to sustain the future now! We hope you will come out and spend the evening with us on June 1st, but whether you attend the event or not we hope you will consider a regular sustaining gift to ECC. Read more about sustaining gifts here . Your consistent support will ensure we have the necessary foundation to sustain this compassionate, vibrant, and life-changing community for the months and years ahead. Become a sponsor . There are also many other sponsorship opportunities for both individuals and companies. You can sponsor this event and have your name or your company name prominently displayed throughout the evening. Other benefits are available for sponsors as well. Offer an item for the silent auction . Is there a restaurant near you that you frequent that you can ask for a gift card for our auction? Are you an artist and want to donate a piece of art? Do you have a subscription to the theater and want to offer up a performance to benefit ECC? If you have something or are willing to ask businesses that you frequent for a donation for our silent auction, please let us know! Collaborate with us on a strategy for engaging your local church! There are clergy and church-specific ways to engage with this event ranging from event attendance to sponsorships and advertising opportunities! Help the history team! 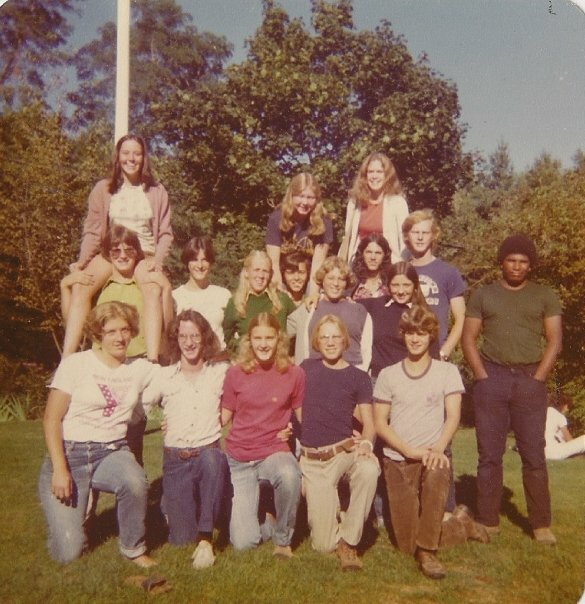 Do you have old photos, videos, and documents from your time at ECC? We’d be so grateful if you would share them to be part of our event and to add to our growing archives to be available for future generations.